Indian Law requires patent applicants to seek approval from the National Biodiversity Authority (NBA) before filing patent applications that use biological resources, under The Biological Diversity Act, (BDA), 2002. For more details on this please see our previous article titled “Biodiversity and IP: The Struggle is Real”. The following article discusses some important aspects that must be kept in mind while applying for and prosecuting patent applications that include biological resources. First and foremost, it must be determined who will access/obtain the biological resource and apply for the patent application. This is because under BDA different provisions are applicable for Indian and foreign nationals/company for accessing biological resources. Applicant is Indian National or Company: As Indian Citizens and Indian Companies are not required to seek prior approval for accessing biological resources for research, such applicants are only required to seek approval of NBA for filing a patent application. Such a request may be filed and obtained after the acceptance of the patent but before it is sealed. However, as this may cause delays, it is advisable to seek permission of NBA, prior to filing of patent application or as soon as possible after filing the patent application. Applicant is a foreign citizen, foreign corporation, Non-resident Indian (as defined by the Indian Income Tax Act) and Indian corporate body having non-Indian shareholding or management: In addition to seeking approval from NBA for filing patent application, such applicants must seek approval from NBA before commencing any research project, so as not to contravene Section 3 of the BDA. 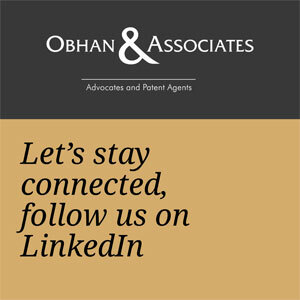 Although, the request for filing patent application may be filed and obtained after the acceptance of the patent, it is advisable to seek such permission, prior to filing of patent application or shortly after filing the patent application.